This is spot on, except for one exception. The part about an associate’s degree seems to be understating the case. America really needs a great many more jobs for which an associate’s degree — a two-year degree that you can get at a community college — is sufficient, and also jobs that can be obtained through a few months of technical or semi-technical training, as is common in other countries. A bimodal distribution is a range of description or achievement where there are two peaks. 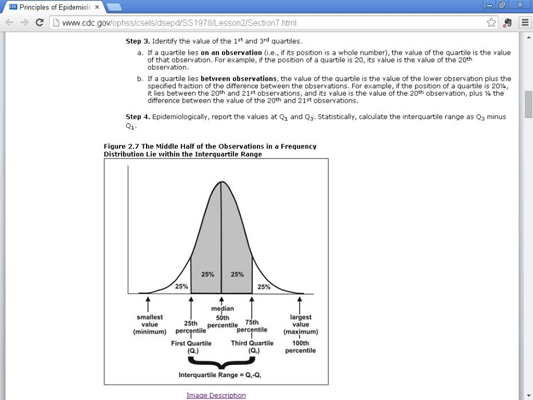 A normal distribution is the kind of bell curve most people are used to. That is, there’s a peak in the middle and tailing off at both ends. Here’s a normal bell curve. This is from a U.S. Centers for Disease Control (CDC) online course, Principles of Epidemiology in Public Health Practice, Third Edition: An Introductionto Applied Epidemiology and Biostatistics. A bimodal distribution, by contrast, shows two distinct, separate peaks. 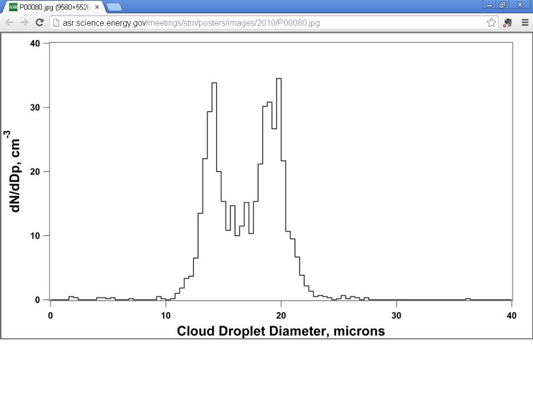 For instance, a curve of droplet size in clouds shows two separate peaks, one smaller and the other larger. So when the BLS asserts that a two-year degree is sufficient for most web jobs, it’s important to remember that most web developers have four-year bachelor’s degrees from a typical U.S. college — and a smaller number went through technical training, or have no degree at all. It seems that the two-year assertion might be a kind of mean between these two groups, but that it doesn’t fit very many actual people, compared to the four-year and “no college” groups. The recommendation, from the BLS and others, that an associate’s degree is sufficient for web development jobs might be out of date. To be on the safe side, go for a bachelor’s degree.